ICF works with several partners to offer ICF Members discounts or special pricing on goods and services. This is another benefit that comes with your ICF Membership. For more details about any of the benefits mentioned here, visit our Partners page. 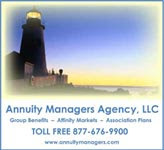 ICF Members are eligible for a variety of voluntary Life and Health Benefit plans through Annuity Managers Agency, LLC. Learn more. Assessments 24×7 has partnered with ICF to provide its members with white-label assessment accounts and training. Each account includes free group reports, free multi-media trainer materials, complimentary demos, free marketing one-sheets and much more. It’s a comprehensive, online assessment solution branded solely to your coaching practice, with your logo and contact info. These robust, online assessment accounts and everything they include is FREE â€” you only pay for the wholesale assessments themselves. 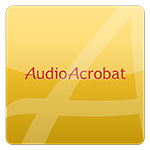 AudioAcrobat is one of the most popular Web-based audio services on the Internet. ICF Members can use discount code f6trial to receive a 17% discount after their 30-day free trial. Learn more. The Coaching Tools Company.com offers over 100 brandable, ready-to-go coaching tools, forms and exercises including free coaching tools and forms. These toolkits can be used for self-discovery, career coaching, goal setting and more. Use the coupon code ICFMember10 to receive 10% off all purchases site-wide. Also, use coupon code ICFWelcome20 to receive 20% off the Welcome Pack Toolkit. Visit their website. Coaching-Websites specializes in creating websites that are engaging, professional, cost-effective, and extremely simple to maintain, and help coaches successfully market and manage their practice online. Coaching-Websites packages include everything that’s needed for a professional online presence. ICF Members can use discount code ICF to receive one month free when they sign up. Learn more. Hogan Assessments provides coaches and consultants with personality assessments that help in identifying talent, developing people, and evaluating leadership potential. Hogan assessments are available in 57 countries and 46 languages, and more than half of all Fortune 500 companies have used Hogan for talent management initiatives. 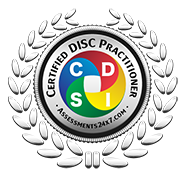 Use discount code ICF201720 to receive 20% off Level 1 Hogan Assessments Certification Workshops. Visit their website. Note: discount code expires September 30, 2017. Code must be applied at checkout to receive discount. ICF’s partnership with Nationwide Insurance® allows Members to receive special discounts on automobile, home, power sports and pet insurance. Learn more. Refer.com is a referral lead generating solution for service providers. Refer.com software provides the means to build networks of trusted professionals actively seeking to give and receive new referred business opportunities. By investing just 10 minutes a day, you’ll never let a new opportunity slip through the cracks. Learn more. Through Staples Business Advantage, ICF Members can receive discounts averaging 40-60% off on over 30,000 items, plus fast and free delivery in the United States on orders of $30 or more. Sign up for free. TranscribeMe offers transcription and translation services, offering both excellent quality and fast turnaround, at great prices. ICF Members can use discount code ICF_Perk20 to receive a 20% discount on all transcription and translation services. Visit their website. videoBIO provides video services to help coaches build their business and reach new customers. videoBIO provides a full range of services, from do-it-yourself options to a full-scale video production shoot. Learn more here. ICF Members are eligible to receive a 6 months free videoPRO DIY pro account (a $120 value), a 15% discount on video production services, and a 15% discount subscription to videoBIO Learn. Contact sales@videobio.com to take advantage of these offers. Westminster Indemnity offers professional liability insurance, essential business insurance for professional coaches, for ICF Members in US, Canada, UK and the Republic of Ireland. The coverage is underwritten by high-quality insurers and is available at very competitive premiums. Many additional modalities may also be added at no additional cost. Learn more. Zoom, the cloud meeting company, unifies cloud video conferencing, simple online meetings and mobile collaboration into one easy-to-use platform. Zoom’s Basic service is free, and Pro service is just $14.99/month. ICF Members can use discount code icfzoom to receive a 10% discount. Learn more here. choice, the magazine of professional coaching, is a quarterly magazine dedicated to the coaching industry. ICF Members can use discount code PROUDMEMBERICF to receive a 10% discount on purchases. Visit their site. Coaching at Work is the leading coaching magazine for coaching professionals. ICF Members can use discount code ICF2010 to receive 20% off a print subscription, or code CADICF2010 to receive 10% off a digital subscription. Visit their site. The Coaching Show is a weekly live internet radio show and podcast, recorded in San Diego at WsRadio Studios, hosted by Master Certified Coach Christopher D. McAuliffe. Learn more. ICF Members can use discount code CDM to receive a 20% discount on 30 second live read advertisements on the show. July 11, 2017 in Membership.